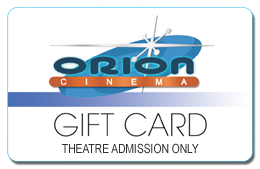 Join the Orion loyalty program today! Free to join and earn a point for every dollar you spend. Rewards include free popcorns, free appetizers and movie admissions.